Serene Centre’s collection of good food is no secret, with familiar places like La Petit Cuisine and Island Creamery already prominent to the Bukit Timah neighbourhood. 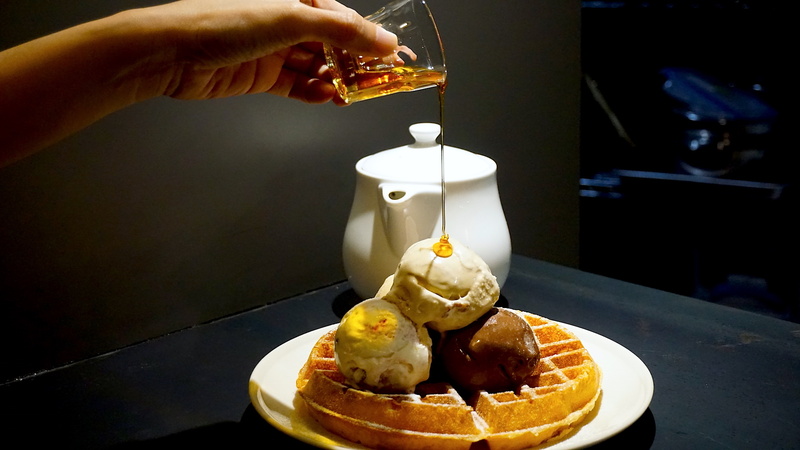 Sugarhaus isn’t a very new addition, but owner Stanley Seow has added a new dimension to the existing business, with The Fat Belly taking over as night falls. The Fat Belly’s primary concern is educating diners on lesser known cuts of beef. 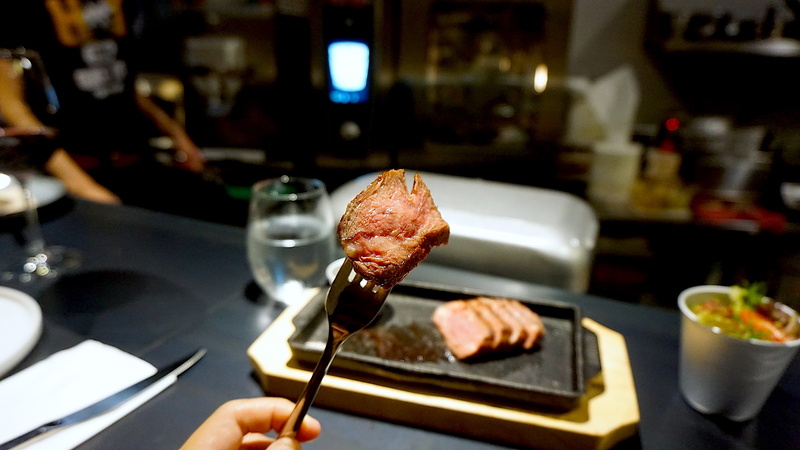 Diners in Singapore are traditionally exposed to the most basic of parts: Sirloins, Ribeyes, Porterhouses and maybe some Flank. What we don’t really eat for steak are the cuts like Flat Irons or Short Ribs, which they introduced to me. The Flat Iron and the Short Rib were on the menu both times I went. I felt that both played to different tastes, so I’ll break them both down for you. 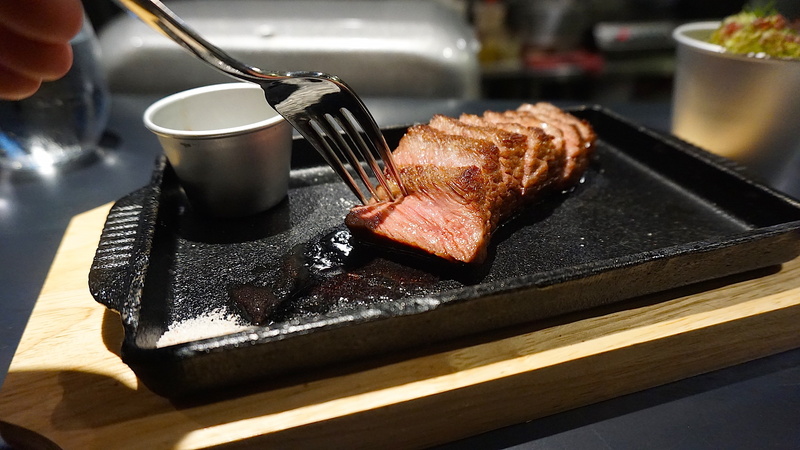 I just have to first say that if you love a bit more gristle with your meat, this Flat Iron will be something you want to go for.This cut comes from the cow’s shoulder, so it is lower in fat but does not lose out in flavour. When I bit in, there was a robust, beefy flavour that hit me immediately. I think steak lovers will go straight for this if they need a hit of beefy flavour, but don’t want to splurge on a Ribeye. This cut is a little more commonly known for its use in Korean Barbeque. When served as a steak, however, it brings a completely different dimension to the dining experience. The cut I was served with did not include the bone, but it was well-marbled. 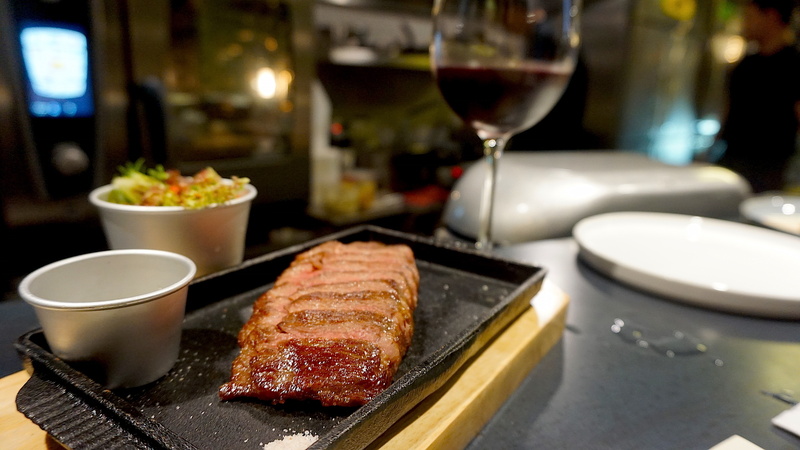 As with most short ribs, the meat needs longer periods of cooking so that the connective tissues would break down. This means that the shorter cook time on the pan equates to a meal that requires a bit more jaw work to get through. However, I personally preferred this cut a little more as the fat gave me a subtler flavour. The guys from Fat Belly also shared some great desserts with us. 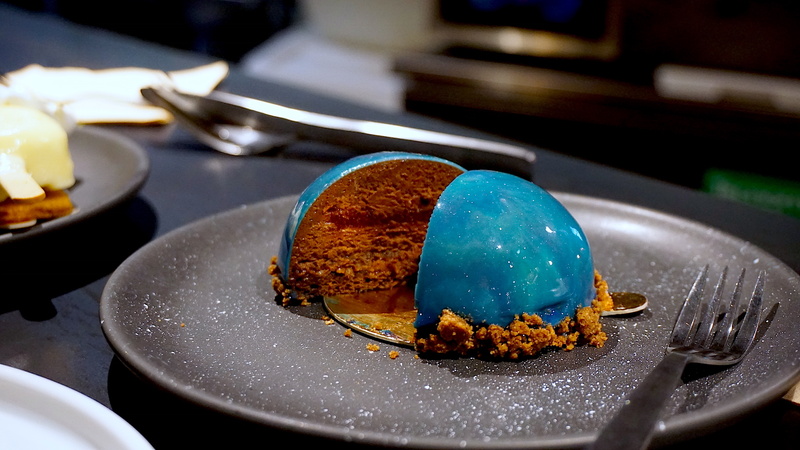 While I usually don’t spring for sweet treats, I must say that the Galaxy Tart was the star for me. Just look at that! An entire galaxy filled with chocolate mousse, raspberry jelly and chocolate crumble. I cut in immediately, and the bite was awesome. I think it’s pretty smart to use the tartness of the raspberry to cut into the sweetness of the chocolate mousse so that the sugar didn’t become cloyingly obvious. The overall package is also very pretty to look at! If you’re more into classic sweet treats, then I think the Waffles & Ice Cream are going to be a win! Pick a few flavours, place them on a waffle, and you’ve got yourself dessert for a group of 4! The Fat Belly isn’t a place of extremes. It’s speakeasy nature plays to its strengths, and those strengths are in delivering unique cuts of steak in an accessible manner. It’s casual, friendly and reasonably priced, so there’s none of the usual Over The Top decadence that is so commonly attached to the word “Steakhouse”. It’s really good for a quiet date night, but avoid bringing large groups as the bar counter isn’t conducive for conversations. The Fat Belly is where you go if you want to get a steak or two to share, grab a side dish, take the wine pairings, and share a laugh over some very tasty desserts.